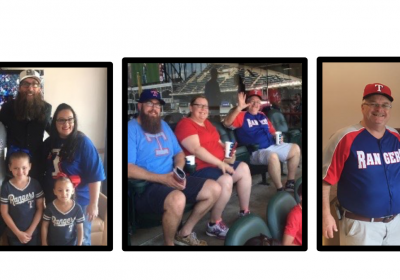 KLTY listeners will get the chance to watch a Texas Rangers game from a suite at Globe Life Park with Crowder. 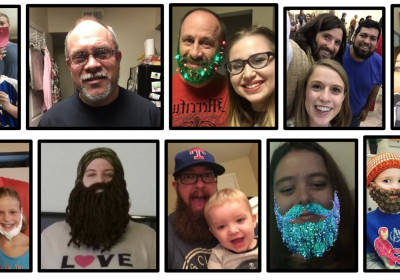 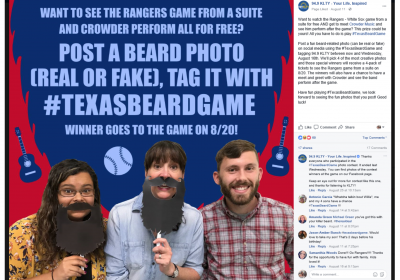 Post a fun beard photo (real or fake) on social media using the hashtag, #TexasBeardGame and tag 94.9 KLTY. 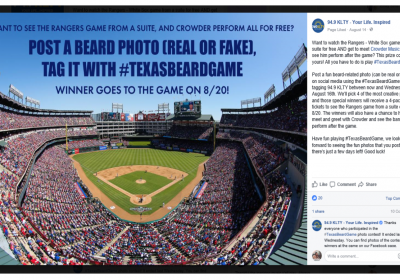 We will choose four winners and those people will receive a 4-pack of Texas Rangers suite tickets and a meet and greet with Crowder before he performs after the game!